DUBAI, UAE, 29 March 2016 – Emirates SkyCargo has once again topped the industry with its win in the Air Cargo Excellence Awards organised by Air Cargo World. 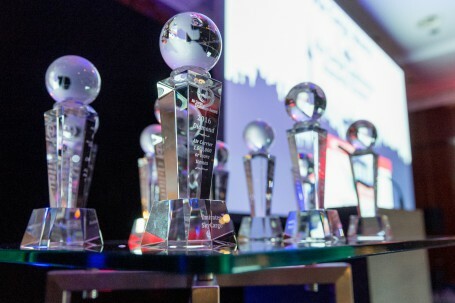 The annual awards recognise the best air cargo companies and airports in the airfreight industry and are based on the Air Cargo Excellence Survey which was established in 2005. Customers rate the finalists on several factors, including the quality of customer service, such as tracking of shipments and electronic air waybill (e-AWB) capabilities; performance, such as timeliness of delivery and space availability; and value, such as competitiveness of rates, route network and quality of special services. Emirates SkyCargo, which achieved the highest scores on these performance factors, was given the Diamond award, the top placing for the category of air carriers with over 1 million annual freight tonnes carried. “We are extremely honoured to receive this award. It is especially gratifying because it reflects the voice of industry customers who have spoken through the survey. Emirates SkyCargo’s long-established commitment of “Delivered as Promised” is the vision that drives our business in every market that we operate. It is the collective hard work of a committed team of people in every part of our operation that makes the daily fulfilment of this customer promise possible,” said Nabil Sultan, Emirates Divisional Senior Vice President, Cargo. Emirates SkyCargo is the largest international airline cargo operator in the world. Its route network connects cargo customers to 150 cities on six continents, including 27 gateways in Africa, 16 in the Middle East, and in 18 in the Far East. Cargo hold capacity comprises Emirates’ fleet of more than 240 aircraft, including 15 freighters – 13 Boeing 777-Fs and two B747-400ERFs. With an established reputation for the highest standards of product quality in supporting business logistics, the air cargo leader achieves customer satisfaction through innovation, flexibility and the constant refinement of service levels.